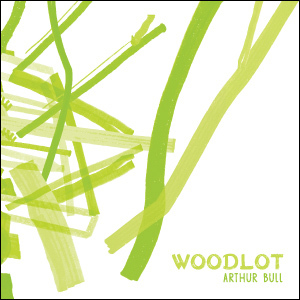 Click here to stream Woodlot. Click here for a sample of its text. From tightly-woven networks forged of some luminous and chiming substance, to solitary figures draped across an evaporating field of their own resonance, guitarist Arthur Bull wrings from his instrument an array of tones both demanding and fruitful. At once conceiving and resolving mysteries, these are recordings of a highly reflective quality. Paired with a book-length collection of poetry written by the musician that examines the binaries of place/displacement, longing/belonging, and attachment/detachment, Woodlot captures the experience of traversing an abundant field in isolation, deeply aware of the story it tells and your insignificance within it. Featuring free-form, non-idiomatic improvisations, Bull's playing touches the boundaries of various genres long enough to blur them before adding their elements to his meditative meanderings. So too does his writing absorb influence: classical Chinese poetry, nature field guides, Sophocles, the flight patterns of a silent, gliding owl. Regardless of the pieces that push Bull's puzzles to their heights, his is a singular voice. Woodlot calls upon that voice to masterfully tell of one man wandering through sounds, through words, through trees simultaneously rich in metaphorical abstraction and ecological substance. ANC028 is out of print.